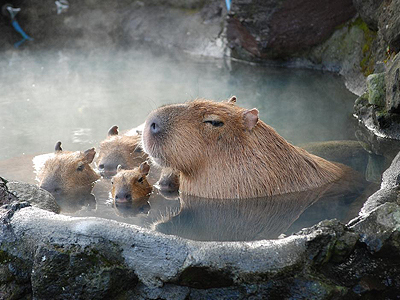 Capybaras in Japan knows enjoyment of spa! This is just an image… we are afraid you cannot find any Capybaras in Yurari. 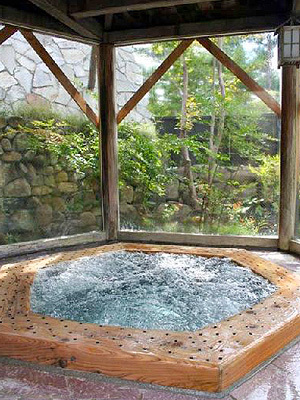 Just behind Michi-no-Eki ‘Narusawa’ site, you will find spa facility with 16 types of bath at ‘Yurari’. 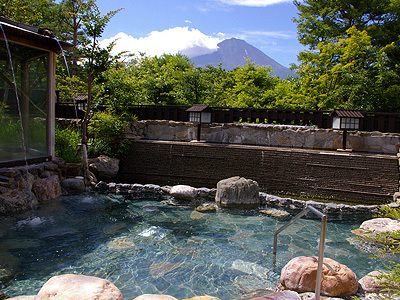 The great thing about this facility is that the open-air bath have excellent view of Mt. Fuji! Even if you can’t get used to the custom of public baths, becoming naked to others, here at Yurari, you can rent a compartment bath (smaller bath than public ones though) and enjoy your private bath time with the one you’d like. They have 6 different types of these compartment baths which can be rent for 45 minutes, with extra 1,580 Yen. 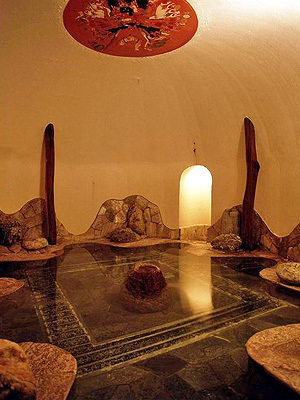 Among several types of baths, there are special sauna, a steam sand bath where you’d be covered by heated sands! This steam sand bath has been one of the medical treatment for long in Japan which is thought to urge the circulation of your body metabolism. You will have to pay extra 1,050 Yen but we are sure it will be a good experience for you! Our recommendation is ‘Aroma Bath’ which the aroma changes weekly. Because the temperature of the water is not so high (38 degree C., 100 degree F.), you can stay long to relax your body. Beauty-treatments such as scrubbing and aroma massage are also available at extra cost. Below 40°C (104°F) hot aroma bath is ideal to relax in for quite a while! Photo from Fuji 5 Lakes Leasurenavi. There are also restaurants inside the facility. A noteworthy one is ‘Okari-ba’ restaurant where they serve local cuisine in private rooms. Surprisingly, a mini steam locomotive will carry the dishes to your room! Local brew beer is also worth a try here. 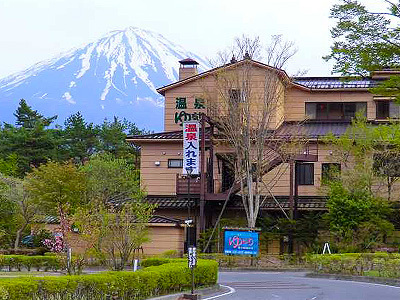 If you wish to stay over night here, the neighboring accommodation, ‘Fuji, Green Vacation Village (Fuji, Midori-no-Kyuka Mura)’ is the nearest place where they offer special plan price from 8,900 Yen including 2 meals and admission of Yurari. ** All photos except top and last photos are from YURARI, Mt. Fuji Panorama Spa Official Site. Address : 8532-5　Narusawa-mura, Minamitsuru-gun, YAMANASHI Pref.